Nowadays, smartphone’s are an important part of our life. Everything from searching to making, all data is easily available on the mobile. Applications make this job perfect for us. From navigation to calculations, we use applications for the work. There are 2.1 million apps are available on google play store. We have a wide range of applications to choose from. With any other discussion, we are a list out 12 most useful and best Android Apps for 2019. This app helps us to get live weather report and storm alert. With the 4.4 rating and over 50 million downloads this app top in the weather report alert. Weather alert from the AccuWeather is superior and accurate. You can also get real-time weather alert and severe warnings about the weather on demand. You can be prepared for the sudden weather change with live alerts and accurate weather forecast. You can get hourly, daily reports and map representation of your area weather. 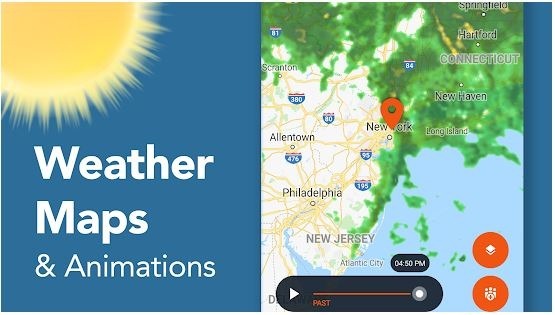 AccuWeather also shows the result for the multiple locations, so you can check the weather of other cities as well on a single click. You can also share the report with your contact list on a single click. You can also check 15 days ahead of forecast with the AccuWeather. This is the best Andriod app for use. I recommend this application to everyone. This is one of my favourite application. It is a mini pocket scanner for you. It scans the document and converts it into PDF as well. It can immediately scan any kind of document such as bills, office documents, notes and convert it into high-quality images. So anything you need at the moment is in your device within no time. 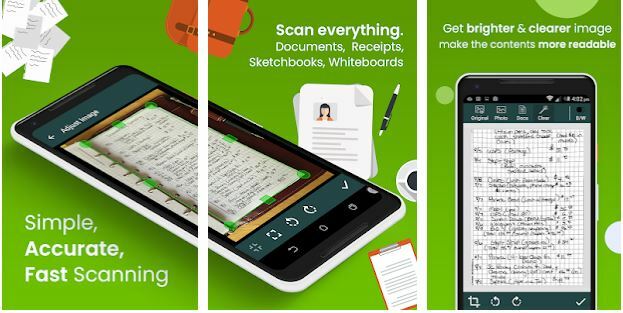 Clear Scanner is the must app for every student, employee, businessman any other person. This app automatically detects a corner of the file for the better quality and along with it, you can also crop the part of the document that you want to scan. This is a fantastic feature and gives liberty to the user. Apart from this, there are so many autocorrecting features available in this app such as adjusting the brightness, removing the shadows, straightening the image for the better quality and result. 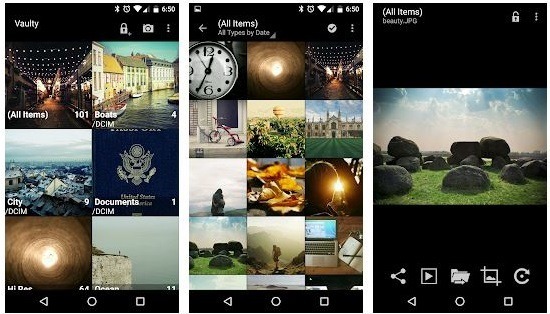 This app is used to protect the data (images and videos) from the other peoples. 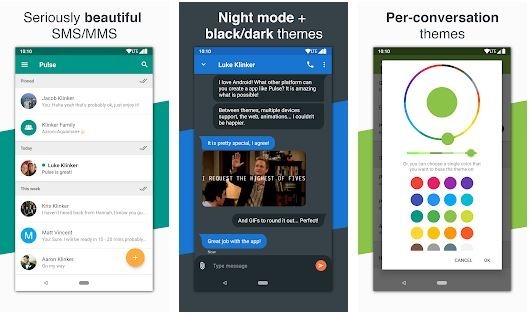 With 4.6 rating and more than 10M downloads, this is one of the best Android Apps in 2019. You can hide the images and videos that you don’t want other people to see. It is easy to use application. Tap thumbnail to select files and tap on a lock to hide them. Vaulty will remove the picture or video and hide it in the app. Hide image and videos and look up in the vaulty gallery. Stay protected with PIN or text password to protect vault. Keep different vaults to show different peoples. It is a paid application but worth the price. This is one of the useful apps that’s the reason to include in the best android apps for 2019. Bouncer app provide functionality to gives permission temporarily. Suppose you want to take a photo or tag location but don’t want to give permission to camera and GPS to use everywhere, Bouncer gives you exactly same. It grants permission temporarily. As soon as you exited from the app bouncer will automatically remove the permission for you. You can get back to what you doing without having worry about app permission. Its designs for one-time permission only. Never worried about the apps what they doing the background. 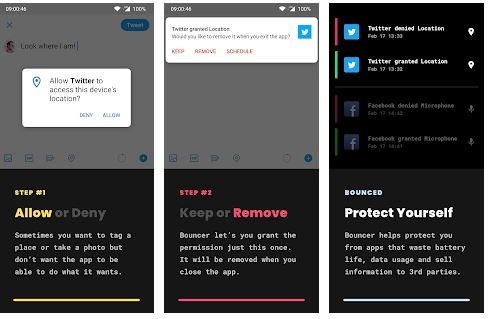 Bouncer is a trusted app, as it can turn off permission and turn it on as well. But it cannot see info inside the apps except for the setting app. Bouncer does not have the internet permission so even if it gets sensitive information it can get transmit it anywhere. 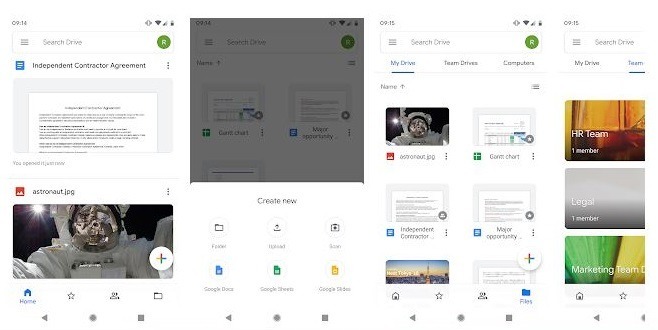 Google drive is a safe place for your documents. Put them in your reach from any smartphone, tablet and smartphone. The files stored at drive like videos, images, documents are backed up safely so you can not lose them. You can also easily share the files with your friends with restricted access like read-only or write. This is among the best android apps for 2019. Search by name and content. Easily share files and folders with other people. Set access level to view, comment or edit. Scan paper document with your device camera. Access pictures and videos from Google Photo. 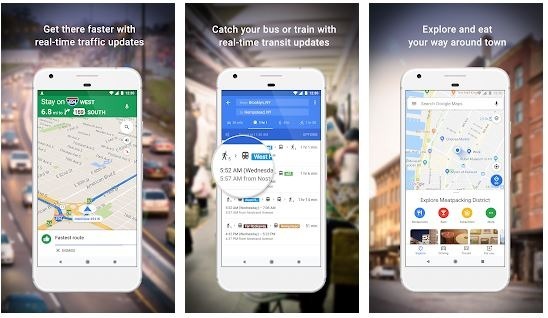 Nevigate the world faster and easier with the help of Google Maps. Over 220 countries and territories mapped and hundreds of millions of business placed on the map. Google Map gives you real time GPS nevigation and traffic information. Beat traffic with real-time ETA. Catch your bus or train and shared real-time info. Share automatic rerouting based on live traffic. Discover local restaurants and events and activities. Know what’s trending and new places opening in your areas. Create a list of favourite places and shared with your friends. Offline maps to share and navigate without an internet connection. Indoor maps to quickly find out your way inside big places. Google app know you about the things that matter you. Find quick answers, explore your interest and stay up-to-date with the world around. This app is first in my choice and one of the best android apps for 2019 to stay up-to-date. Search and browse nearby shops and restaurants. Movies timing, cast and reviews. News, stock information and more. Know about the topics that are interested in you. Start the morning with weather and top news. This is an amazing app with superb functionality. Nowadays everything is protected with the password and it getting difficult to remember all the password, LastPass help in the same way. This app stands at the top level in my list and best android apps for 2019. LastPass is a password manager and password generator that’s lock your passwords and sensitive information in a secure vault. From LastPass, you can store password and login, generate strong passwords. All you have to remember your LastPass master passwords and LastPass will autofill your web browsers for you. Stop getting frustrating from resetting the passwords and do the smart work. Let the LastPass remember password for you. Download the LastPass now and get the protection you need for your online information. You can also use LastPass across all your devices like smartphone, tablets and desktop. Store username and passwords for all your online accounts securely. For android Oreo and future Os, LastPass will automatically save username and passwords to the vault. Password will automatically be filled in for you as you visit the site. Securely store information like credit numbers. Create a secure password with the one click. Unlimited sharing of passwords and notes. 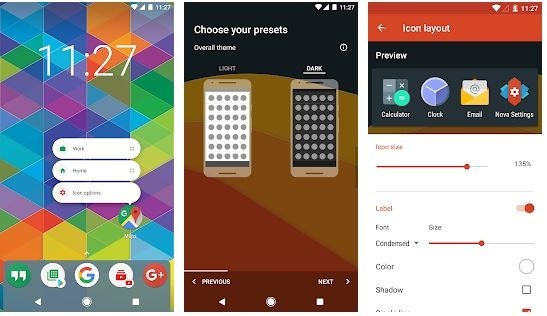 Nova launcher is a powerful and customizable home screen replacement. It brings advanced features to enhance home screen and still user-friendly and best for everyone. It brings the latest Android launcher features to all phone. Nova supports thousands of icon theme available in play store. Night mode comes on automatically at a specific time. Features like a vertical and horizontal scroll, page effect and immersive options. Backed is stored locally and can be transferred to the cloud. Nova has highly optimized, snappy and smooth animations. Gesture: swipe, pin, double tap and more on the home screen. App Drawer Group: Create custom tab and folder in drawer. Hide Apps: Remove apps from the app drawer. Custom Icon Swipe Gesture: Assign swipe gesture to the home screen. Pulse SMS is a beautiful and next generation SMS app and is fast and secure and with all the features and customization as user want. This app reimagine your messaging experience by making your messages available across all your devices. Pulse is free to use on the phone and with full of features. It has the ultimate texting experience. Unparralled design and fluid animations. Global and pre-conversion theme option. Password protected and private conversations. Share GIF with your messages. Automatic message backup and restore. Delay while sending gives your time to edit the message. Pulse if completely free on your phone – with no ads. To text from another device, you have to pay a small subscription fee or one-time payment. Or $10.99 for one time purchase. 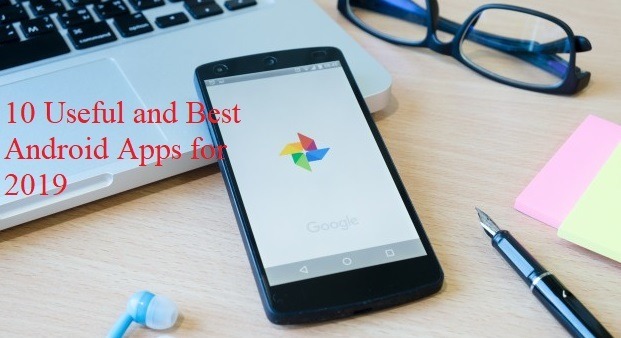 These are some useful and best Andriod Apps for 2019. The list will go on and in future, I will update the article with more Apps information. The apps not ranked according to the popularity and Installations. Hope the article will help you to find a useful application. Also, Read my Article on How to Start Blogging and Earn Money. Smartphones Applications makes the task easier. Here is the list 10 free and very useful apps and best Android Apps for 2019.